On Thursday, February 7th, 2013, Secretary of Defense Leon Panetta and Chairman of the Joint Chiefs General Martin Dempsey testified before the Senate Armed Services Committee regarding the events that transpired on September 11th, 2012, at the U.S. compound in Benghazi, Libya. On that day, premeditated and coordinated attacks on the facility by Islamic militant groups Ansar al-Sharia and Al-Qaeda in the Islamic Maghreb, among others, cost four Americans their lives: U.S. Ambassador to Libya Christopher Stevens, U.S. Foreign Service Information Management Officer Sean Smith, and C.I.A. contractors Glen Doherty and Tyrone Woods, both former Navy SEALs. 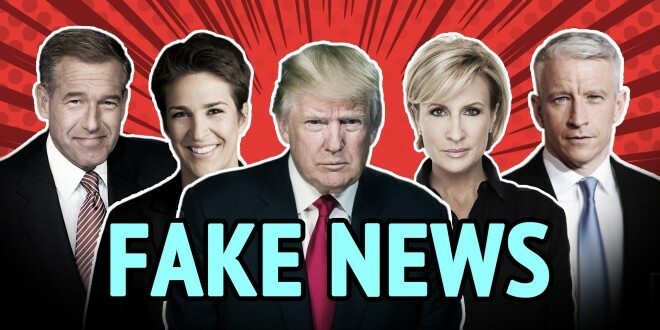 The purpose of the February 7th Senate hearing with Panetta and Dempsey was to probe into the military’s response to the September 11th siege, and to shed light on any communication that might have occurred between U.S. military commanders and the Obama administration. Under scrutiny by Republican Senators Kelly Ayotte (R-NH), Lindsey Graham (R-SC), Ted Cruz (R-TX), and John McCain (R-AZ), it was revealed in stunning testimony that not only was there no military mobilization response whatsoever, but there was zero communication from the Obama administration, save a 5pm EST meeting at the White House between the President, Panetta, and Dempsey shortly after the attacks began. 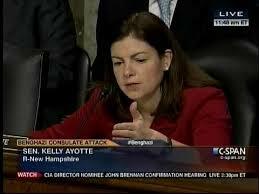 Senator Kelly Ayotte: And there was no follow-up during the night, at least from the White House directly? Secretary Leon Panetta: No, no there wasn’t. Senator Lindsey Graham: Was there any airplane launched anywhere in the world before the attack was concluded? General Martin Dempsey: If you’re talking about a strike aircraft, no, Senator. Senator Lindsey Graham: My question is, did anybody leave any base anywhere to go to the aid of the people under attack in Benghazi, Libya, before the attack ended? Secretary Leon Panetta: No, because the attack ended before they could get off the ground. Senator Lindsey Graham: Thank you, thank you. Okay, and we didn’t know how long it would last. Senator Ted Cruz: In between 9:42pm, Benghazi time, when the first attacks started, and 5:15am when Mr. Doherty and Mr. Woods lost their lives, what conversations did either of you have with Secretary Clinton? Secretary Leon Panetta: We did not have any conversations with Secretary Clinton. Senator Kelly Ayotte: So he didn’t ask you what ability we had in the area and what we could do? 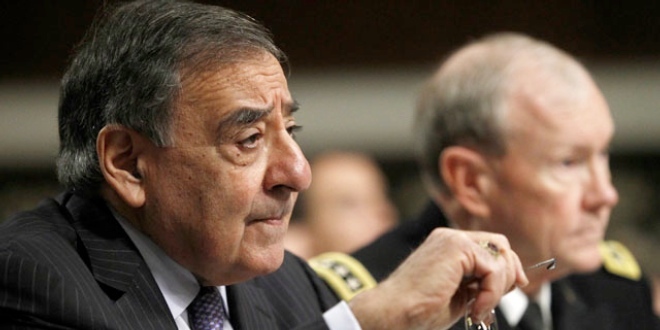 Secretary Leon Panetta: No, I think, I mean, he relied on both myself as Secretary and on General Dempsey’s capabilities. He knows generally what we’ve deployed into the region. We’ve presented that to him in other briefings, so he knew generally what was deployed out there. But as to specifics about time, et cetera, et cetera, no, he just left that up to us. Senator Kelly Ayotte: Did you have any further communications with him that night? Secretary Leon Panetta: No, but we were aware that as we were getting information on what was taking place there, particularly when we got information that the Ambassador – his life had been lost, we were aware that that information went to the White House. Senator Kelly Ayotte: Did you communicate with anyone else at the White House that night? Secretary Leon Panetta: The President has made very clear to both myself and General Dempsey that with regards to future threats, we have got to be able to deploy forces in a position where we can more rapidly respond. Senator Kelly Ayotte: But just to be clear, that night he didn’t ask you what assets we had available, and how quickly they could respond, and what we could do to help those individuals there? Secretary Leon Panetta: I think the biggest problem that night, Senator, was that no one knew really what was going on there. Senator Kelly Ayotte: Thank you. 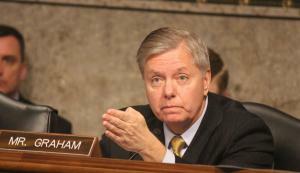 Senator Lindsey Graham: Were there any AC-130 gunships within a thousand miles of Benghazi, Libya? General Martin Dempsey: No, sir. Senator Lindsey Graham: Were there any AC-130 gunships within two thousand miles of Benghazi, Libya? Senator Lindsey Graham: You said the F-16 was not a good platform to defend the consulate. What would have been the appropriate platform? Senator Lindsey Graham: Well, let’s just, I mean – would an AC-130 have been a good platform to help defend the consulate after the attack? General Martin Dempsey: Of course, yes, sir. Senator Lindsey Graham: Don’t you think that saying has been undermined here? That, how can people in the military or the foreign service believe we’ve got their back when after over seven – What – did you know how long the attack was going to last, Secretary Panetta? 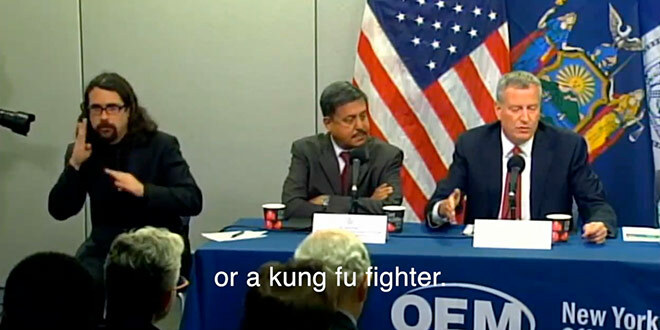 Secretary Leon Panetta: No idea. Senator Lindsey Graham: Well, it could have lasted for two days. Now, my question is, was one airplane anywhere in the world deployed in the aid of the consulate? Did anybody launch an airplane? Was any airplane launched anywhere in the world to help these people? Secretary Leon Panetta: Well, we ultimately did launch 130’s to go in and rescue the people. Senator Lindsey Graham: When were they launched? Senator Lindsey Graham: Okay. Was any soldier en route to help these people before the attack was concluded? Secretary Leon Panetta: Well, we had deployed these FAST teams, and they were on orders to move. Senator Lindsey Graham: Were they on – was anybody in motion before the attack concluded to help these people? Anybody? General Martin Dempsey: Only the personnel that were in Tripoli. Senator Lindsey Graham: Okay, was any DoD asset ever deployed to help these people before the end of the attack? Senator Lindsey Graham: Was any DoD asset, aircraft or individual soldier, ever sent, put in motion to help these people before the attack was over? General Martin Dempsey: Let, if I could, the, as soon as we knew there was an attack, the National Mission Force and the FAST teams began preparing to deploy. 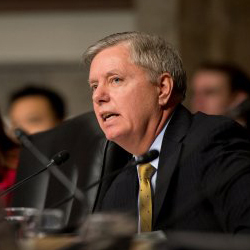 Senator Lindsey Graham: Let’s talk about the State Department. General Dempsey, seems to me that General Ham kept you pretty well informed. General Martin Dempsey: I agree with that. 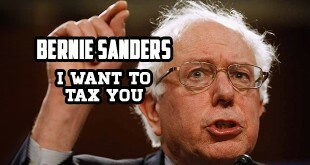 Senator Lindsey Graham: I agree with that, too. And I want – did General Ham on that night ever order, ever suggest that a military asset – did he order a military asset in motion, and someone told him to stand down? General Martin Dempsey: No, he, in fact, he was with us in the Pentagon. Senator Lindsey Graham: Okay, so he was with you. Senator Lindsey Graham: Now, you knew about the cable from Ambassador Stevens because General Ham informed you of it, is that correct, General Dempsey? General Martin Dempsey: In a written weekly report. General Martin Dempsey: Well, I don’t know that she didn’t know about the cable. 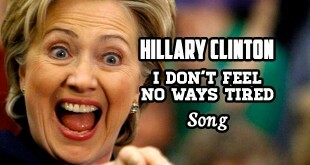 Senator Lindsey Graham: She said she didn’t. 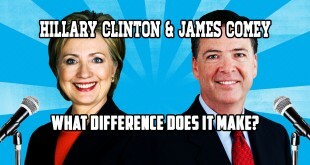 Senator Lindsey Graham: Are you stunned that she didn’t? General Martin Dempsey: Uh, I would call myself surprised that she didn’t. Senator Ted Cruz: So, so, and General Dempsey, the same is true for you? Senator John McCain: General Dempsey, as to how the available threat estimates you were informed by, how our military was appropriately responsible for seven people – since four people died seven hours later, with the thousands of, hundreds of airplanes, ships, planes, and men and women who were serving, available in that part of the world, and how did you do what your posture and capabilities allowed? 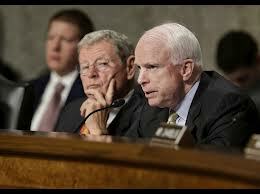 Senator John McCain: Well, perhaps you can give me some facts that would substantiate them. General Martin Dempsey: Sure, I will, Senator. I – we base our response on the combined effects of what we get from the intelligence community, and that’s the network of intel agencies, as well, importantly, based on what we get from the State Department and the Chief of Mission and Chief of Station in the country. Senator John McCain: Did you ever get the message that said they could not withstand a sustained attack on the consulate? Senator John McCain: Did you receive that information? Senator John McCain: So it didn’t bother you? Senator John McCain: Then why didn’t you put forces in place to be ready to respond? Senator John McCain: You never heard of Ambassador Stevens’ repeated warnings about the lapses in security? General Martin Dempsey: I had through General Ham, but we never received a request for support from the State Department which would have allowed us to put forces on the ground. Senator John McCain: So it’s the state department’s fault? General Martin Dempsey: I’m not blaming the state department. I’m sure they had their own assessment. Senator John McCain: Who would you blame? 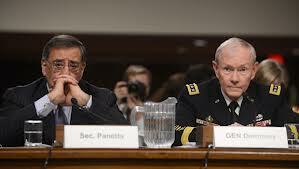 General Martin Dempsey: Sorry, sir? Senator John McCain: Who is responsible then? Senator John McCain: It’s clear that an assessment was made that they could not withstand a sustained attack on the consulate with it being September 11th and many other indications that are on that board over there of various attacks that have already taken place.